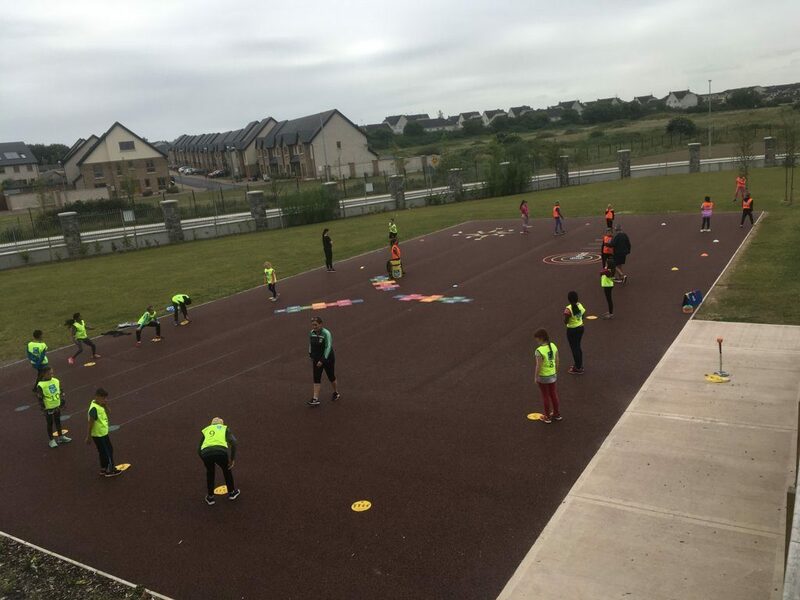 Here’s a photo of our Active Flag Committee with some new pupil and staff members for the coming school year. 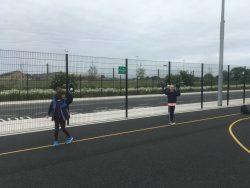 The Active Flag Committee will meet once a month. 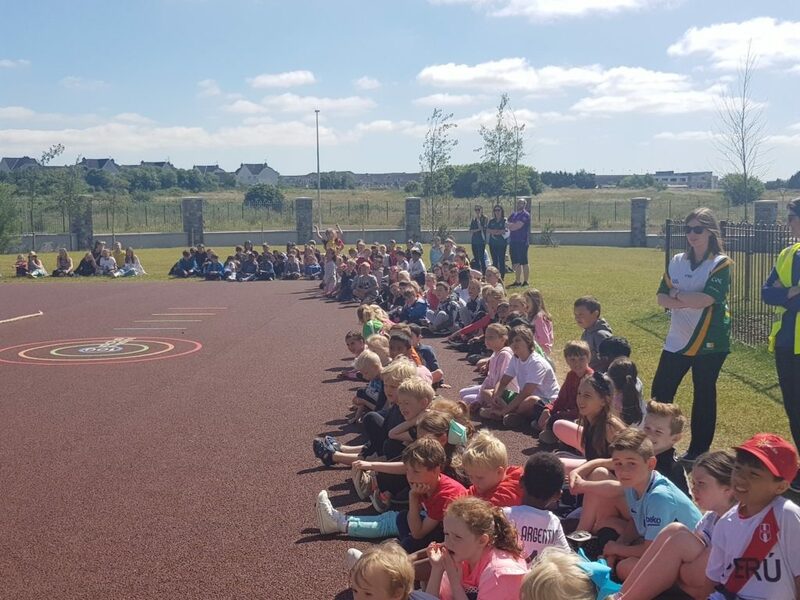 Pupil members of the committee will bring suggestions from their classes, relay news from our meetings to their classes, maintain our PE equipment, help make our yard more active and work on various other initiatives over the course of the year. 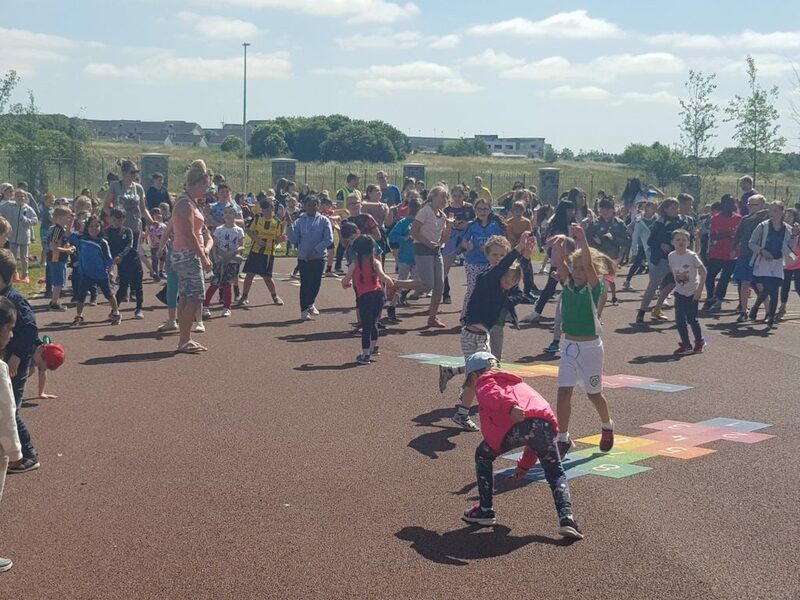 Thanks to all the pupils, staff and parents who got involved in Active Week 2018! 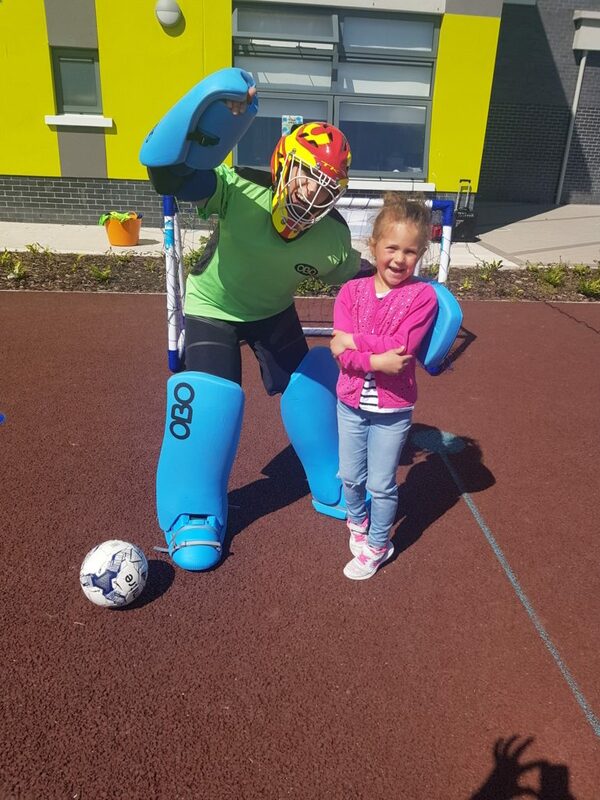 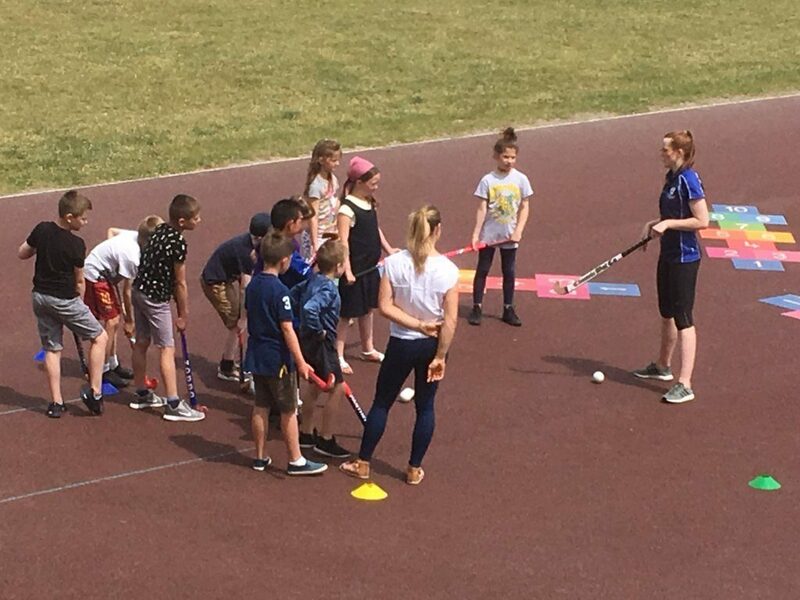 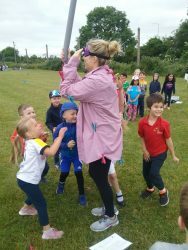 We were lucky with the weather staying mostly dry and the variety of visitors that came in to share their knowledge with us along with staff who were great sports AND showed their true sporting colours and taught the children new skills. 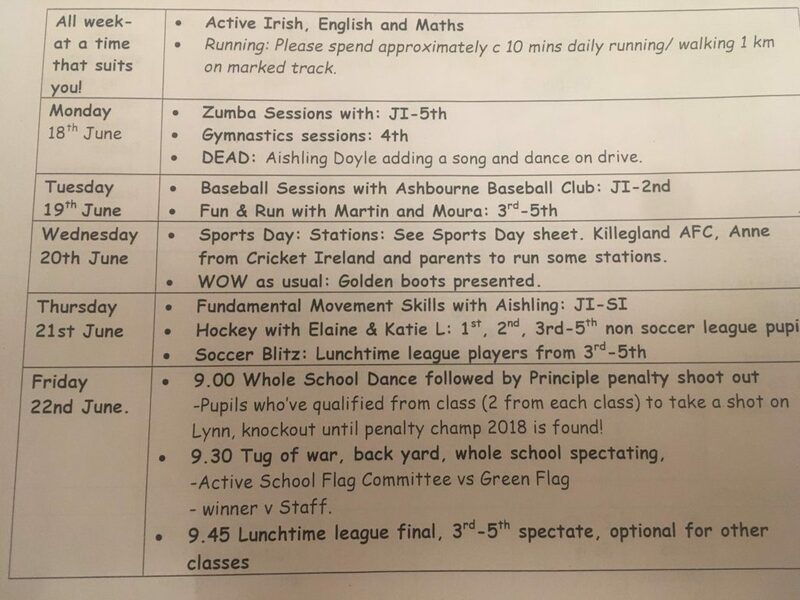 Check our our schedule of events for the week below. 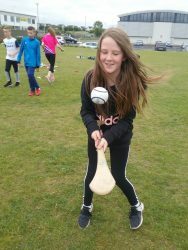 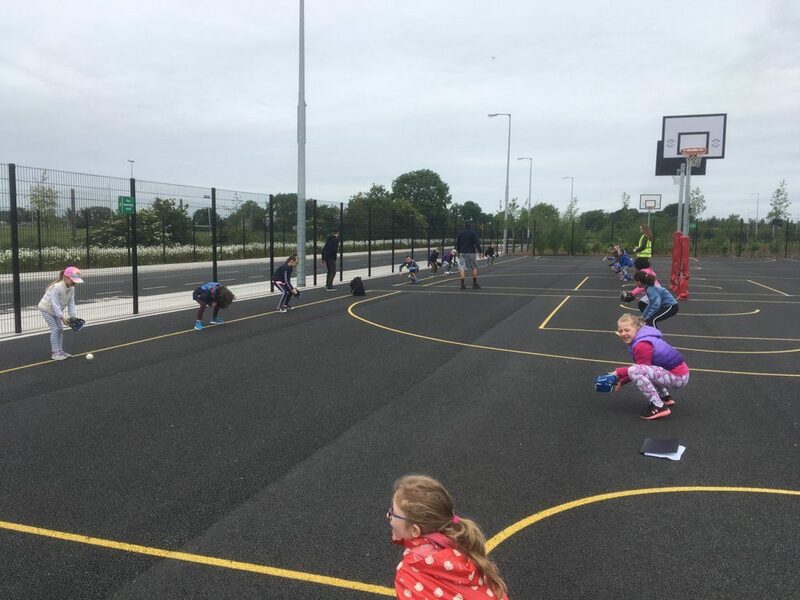 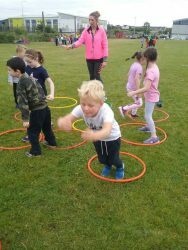 A big well done to Aishling Doyle and her Fourth Class who worked on fundamental movement skills with both junior and senior infant classes, Elaine and Katie L who sourced equipment and shared their hockey knowledge with pupils in from First Class up and also to David, Michael and Shane who facilitated a soccer blitz with our lunchtime league teams. 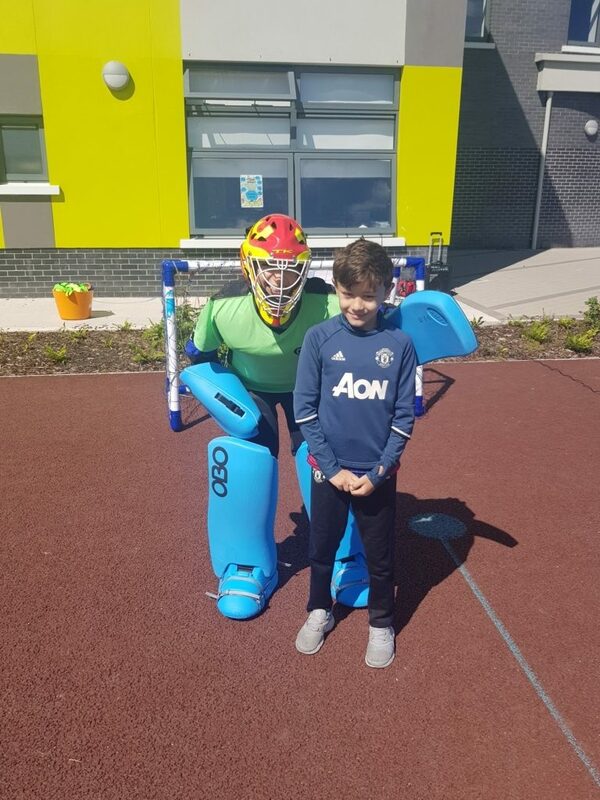 The real stars of the show were our Principle Penalty Shoot Out Finalists who took on Lynn in a tense battle of will during our Friday finale. 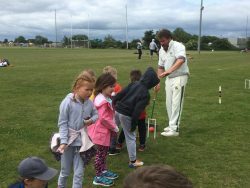 Well done to our Junior and Senior Champions! 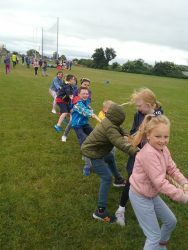 The Active School Flag Committee showed what they were made of when they defeated the Student Council in a hotly contested Tug of War. 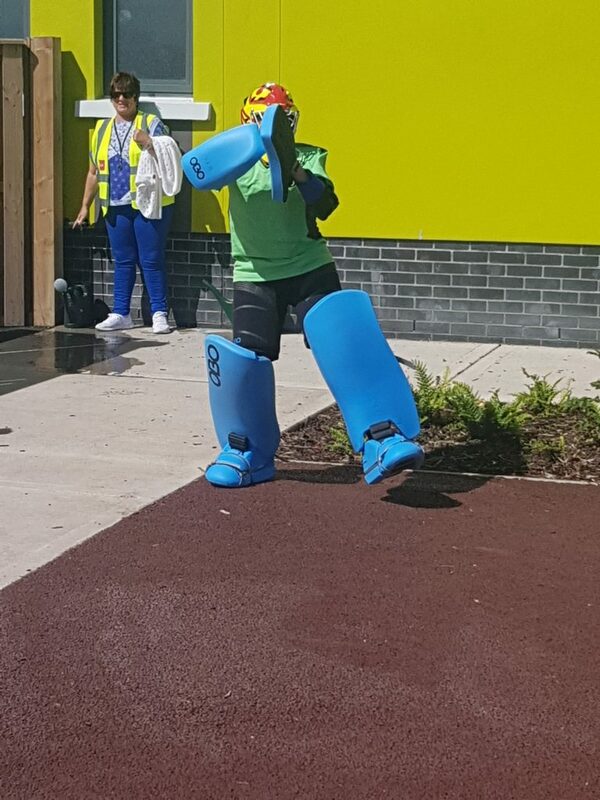 The whole school performed our dance from Monday as a prelude to the lunchtime league final in which the Monkey Destructors took on the Crushers and finshed the match with a 1-0 victory! 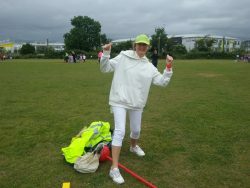 Well done to all involed in a fine sporting spectacle. 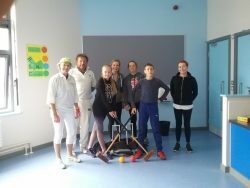 Simon and Nicola presenting members of the Active Flag Committee and parent volunteer Lynn with our new croquet equipment! 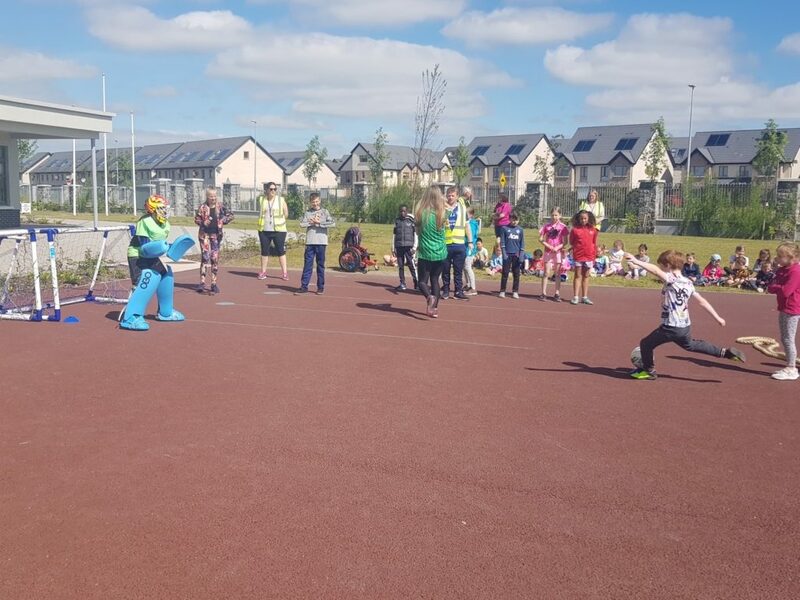 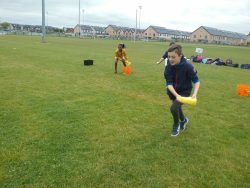 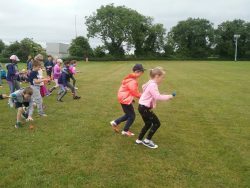 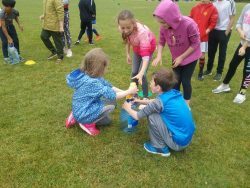 The rain held off on the 20th June for our Sports Day, held in Donaghmore’s fantastic facilities. 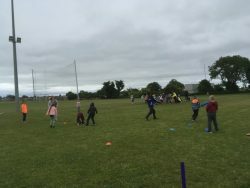 Simon and Nicola from Croquet Ireland, Anne O’Mara, Meath’s Cricket Development Officer, Gráinne and her team from Killegland AFC and a host of parents and teachers facilitated stations on the day. 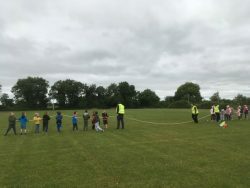 Thanks to Audrey, the two Traceys, Ruth,Karen and Lynn for all their work on the day along with all the teachers who helped with the set up and David and Michael’s well organised after lunch races. 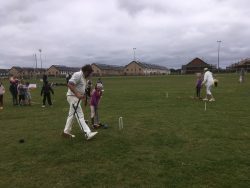 Our parent and family spectators added to the great atmosphere on the day. 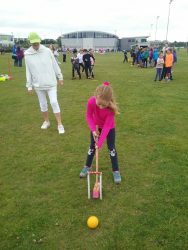 Our pupils were taken with the game of croquet- new to most of us! 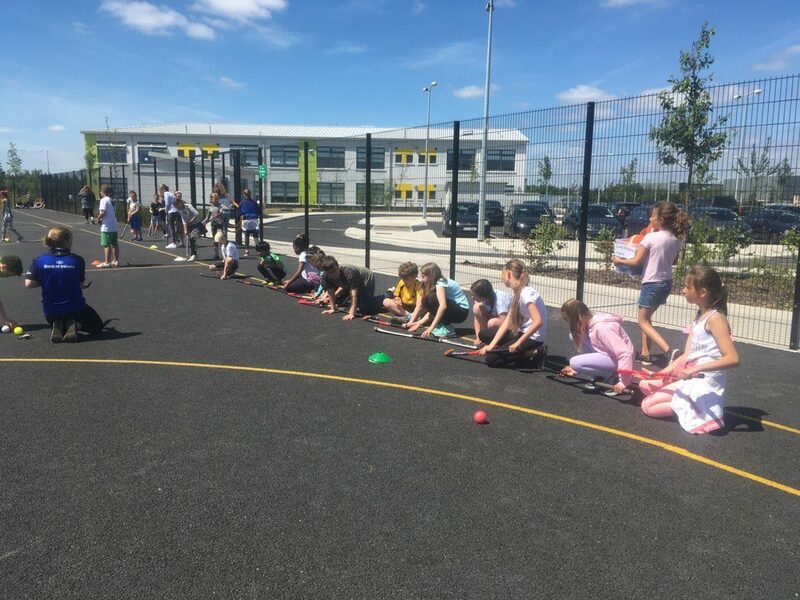 Simon and Nicola patiently explained some basic techniques and very kindly donated a set of croquet equipment to the school so as we can continue to experiment with our newly discovered croquet skills! 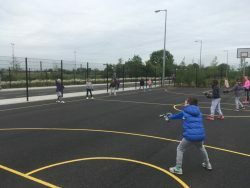 Anne had groups batting and will organise cricket’s return to Ashbourne ETNS next September with some coaching sessions culminating in a local blitz which we’re looking forward to. 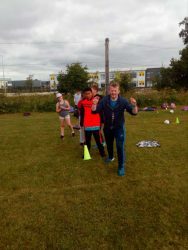 Killegland AFC supported us as they have done on all our sports days with a fantastic obstacle course and some enjoyable soccer challenges.